A number of supermarket chains in Beijing and Jiangsu province in China were found to be selling counterfeit Starbucks coffee after the country’s food and drug regulating agency began a crackdown recently. 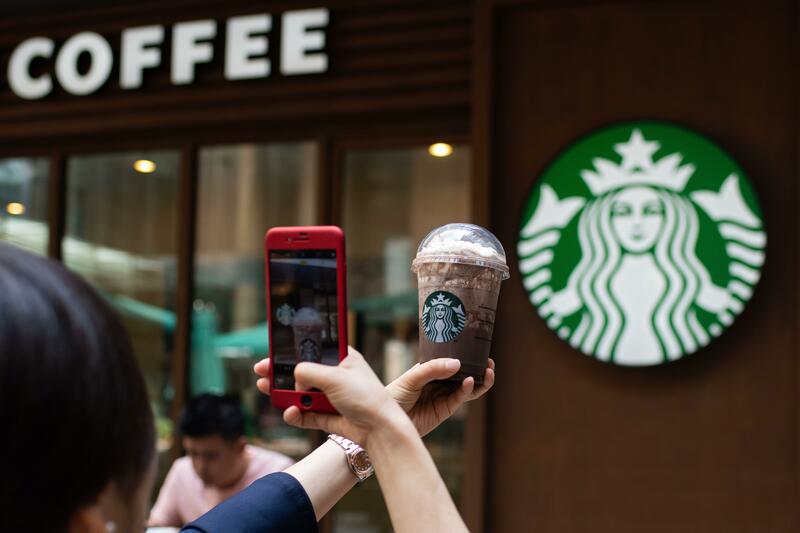 During its investigation, Beijing's Municipal Food and Drug Administration discovered "Starbucks VIA Instant packets" that carried anti-forgery tags issued by Guangzhou Baiyi Food Trade were not genuine products. Famous Chinese supermarket chains like Greenland Direct Global Goods and Hualian Supermarket in Nanjing, and Carrefour in Beijing, were found to sell fake Starbucks coffee. "The instant coffee can only be bought at Starbucks coffee shops and its flagship shop on online retail platform Tmall," a staff member from a Beijing-based Starbucks coffee shop told Global Times on Monday. The staff member, who wished to remain anonymous, also revealed that Baiyi was never authorized to be a distributor of instant Starbucks coffee in China. The fake coffee products also had definite telltale signs, which differentiated it from the real ones. For example, the genuine caramel flavored instant latte sold at Starbucks stores came in a box which contained four packets, while the fake ones sold in the supermarket had five packets in each box. Even the cover art of both the actual as well as fake products were far from being a match. While they had similar anti-forgery labels, the genuine product had an image of a porcelain cup printed on its packaging, while the counterfeit carried the picture of a glass cup in the front. In addition, the authentic product had a shelf life of eight months while the counterfeit claimed to expire after 18 months. Lastly, while the actual coffee retails for 40 Chinese yuan ($5.95), the counterfeit is priced at 52 yuan ($7.74). According to Asia Times, Baiyi has so far made more than 10 million yuan ($1.49 million) in profits selling counterfeit coffee. Beijing News, one of the local media outlets which broke the news of the investigation and its findings, took a package of the fake coffee to one of the company’s outlets in Beijing and the store manager confirmed it was indeed a counterfeit product. Since news of fake Starbucks coffee started circulating in the news, several supermarket chains, including Carrefour, have taken the fake coffee off their shelves. In January, the police from Wuxi, Jiangsu province, arrested suspects who were allegedly producing counterfeit Starbucks instant coffee at a residential building in Guangzhou. It was reported at the time that the condition the suspects were working in did not include the necessary sanitary measures and the workshop was rudimentary and messy. Jiangsu police also shut down the operations of four glass manufacturers who were producing Starbucks’ distinctive cat paw-shaped limited edition coffee mugs without authorization, Thursday, and arrested those responsible. The counterfeit mugs led to brawls breaking out at various Starbucks outlets in February when supplies began to run out. The java giant currently operates more than 3,600 stores in over 150 cities in China, as the country becomes the fastest-growing overseas market for the Seattle-based coffee brand. On Monday, Starbucks Corporation (SBUX) closed at $70.84 - 0.17 percent higher - in NASDAQ stock exchange.